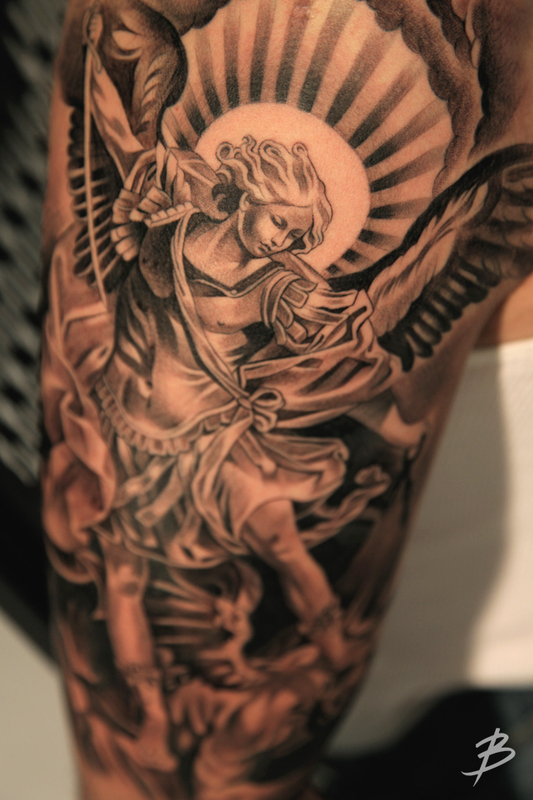 Yesterday Cesar was at the studio to get his Saint Michael piece. He drove all the way from Vegas to get his first tattoo. 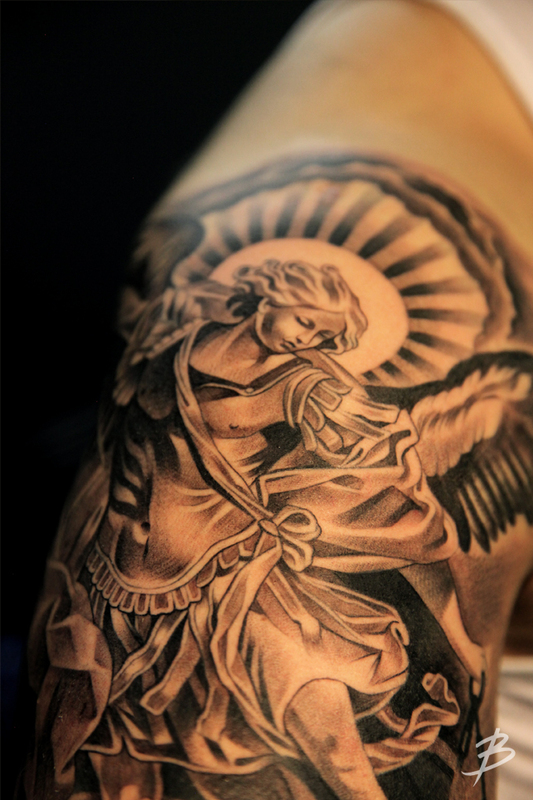 This piece is such a detailed and intricate design. It took me 10-11 hours to get it looking the way I wanted it to. "It was a long and painful day but it was all worth it! Thank you!" 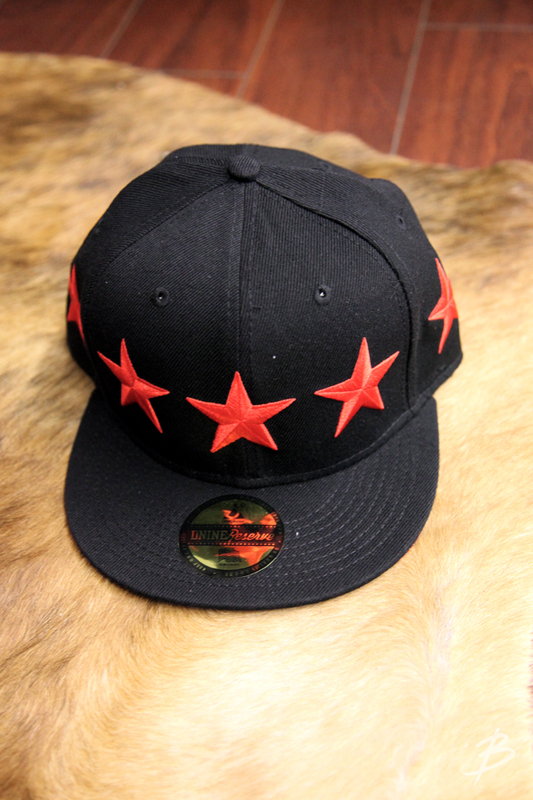 ...By the way, here is a glimpse of one of the new hats we just received at the D9 reservoir. 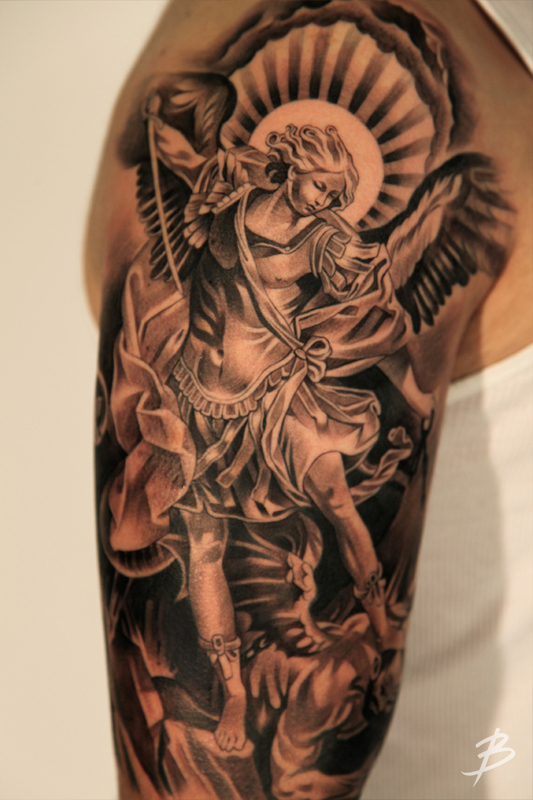 I saw your post of the St.Michael the Archangel tattoo, and it is pretty much the exact tattoo that I want. I have looked all over the internet, but I cannot find the artist of this tattoo. I have found another picture of the same tattoo on a guy's forearm and the "B" signature in the corner, but I cannot find the artist. I was wondering if you knew the artist and his contact info? I would like to get the same tattoo from that same artist. My email is mattfuka@hotmail.com, and it would be greatly appreciated if you could help me find the artist!